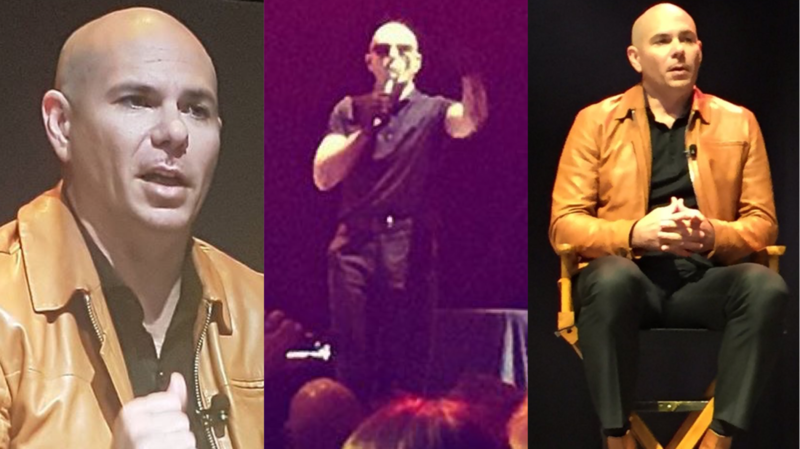 Pitbull made his motivational-speaking seminar debut today at the Real Estate Wealth Expo in Toronto, where he spoke and performed in front of the sold-out crowd. Mr. Worldwide first took the stage for a motivational conversation, which was titled, “Pitbull: Take Your Life From A Negative To A Positive“. The interview lasted about thirty-minutes, and he touched on several different topics including his struggle, and how he was able to turn his life around. Then, Pitbull hopped onstage again to perform five songs including, “Don’t Stop the Party” and “Give Me Everything“. He had the crowd of 15,000 attendees on their feet, dancing!